Our team at Yves Ménard Avocats law firm offers specialized and adapted services in criminal, penal, civil, family and immigration law, furthermore family mediation. Whether you have been accused of an offence against the rights of property, the dangerous operation of a motor vehicle, under the Controlled Drugs and Substances Act or, of an offence against persons, our team of criminal lawyers will represent you firmly. Were you injured in a public place? Were you the victim of an accident and feel as though your rights were violated? Are you looking to resolve a conflict in an informed manner while prioritizing the interests of all parties involved? Were you aware that all parties play an active rôle in decision making when it comes to family mediation? An impartial and neutral mediator can help you to evaluate the strength of your respective positions without having to battle before the courts. Does a violation of the Highway Safety Code have you fearing the loss of your driver's license? Do you want to contest a ticket, but don't know where to start? Many members of our team have developed an expertise in contesting traffic offences and can help you to clarify and settle your situation. Separation, divorce, custody... are you experiencing important shifts in your family? These changes can have far reaching impacts and it is important to recognize the interests of all parties involved. Our experienced Family Law team offers a professional and personalized approach to all your Family Law needs. Will the Director of Youth Protection (DYP) be conducting an evaluation into your child's welfare? Do you have a child below the age of 18 in trouble with the law?We can help you and your family navigate this judicial process while aiming to reduce the risk of reoffending. Me Yves Ménard built his practice with the firm belief of justice for all. His passion, conviction, and dedication is duly shared by every member of the team. For over 30 year, Me Ménard has professionally and determinedly asserted the rights of his clients. An experienced criminal practitioner, he will vigorously defend any Criminal charge laid against you, including violations of the Highway Safety Code. Me Carole Beaucage practices Criminal Law with rigour and impartiality, placing the presumption of innocence at the forefront of each case. Having pled in numerous jury trials, she equally possesses experience in handling cases at the municipal, provincial, and superior court level. Methodical and rigorous, Me Ladouceur arduously defends the rights of his clients in the domains of Criminal Law and Carceral Law. He has also acquired a particular expertise in contesting Highway Safety Code violations and works as a defence attorney at the Montréal Municipal Court. Passionate about Criminal Law, Me Mia Manocchio is extremely engaged, having taught at l'École du Barreau since 2008. A member of the Law Society of Nunavut since 2009, she also practices Criminal Law in northern Canada. Recognized for her expertise, she is a regular mainstay in the Québec press, offering insightful analysis on contemporary legal issues. For Me Élizabeth Ménard, no two criminal cases are alike – each presents a unique set of challenges because – in her eyes – the legal and personal aspects of a case should be equally privileged. She pays particular attention of the individual needs of each client in her personalized approach to Criminal Law. She works across the provinces of Québec and Ontario. Me Alexandre Ménard is involved in various cases throughout Quebec, and even in the judicial districts of Quebec's Great North. Passionate about criminal law and a strong believer in rehabilitation values and second chance, he represents his clients with conviction and empathy. Committed, conscientious and dedicated, Veronique Leduc is passionate about all matters. It is with empathy and seriousness that she approaches her practice in criminal law. A great communicator, she will defend your cause with ease and ability. 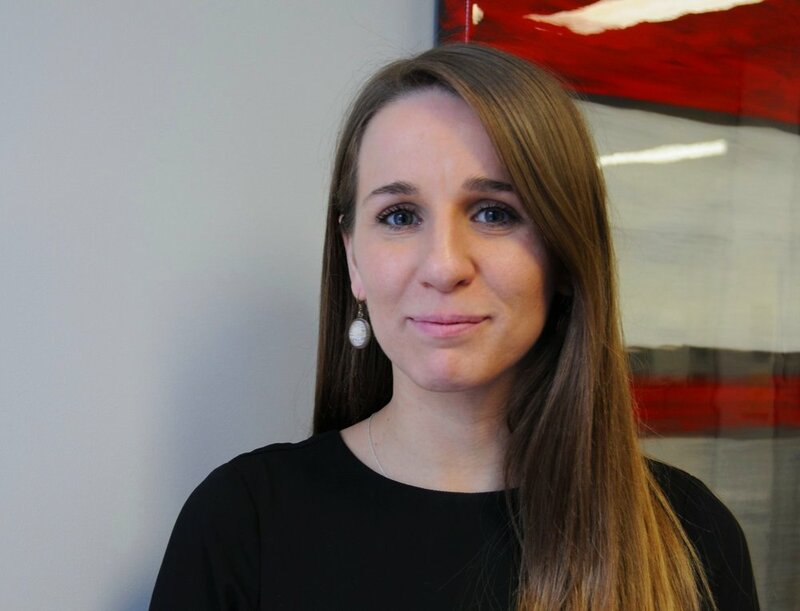 Passionate by the field of Criminal Law, Virginie Dallaire joins the Yves Ménard Avocats team with the goal of developing a humane and empathic practice. She will represent you with rigour and determination while offering a personalized service. Using her originality to defend your interests will always be her ultimate priority. Dilligent, passionate and rigorous, Me Lauren Dahan practices with the objective of ensuring that everyone benefit from their right to make full answer and defence. This mission started with her academic involvement in Probation Students Canada as well as moot court competitions. Me Dahan implements a human and personalized approach in her practice of criminal and penal law. It is with great concern for fairness and equity that Clara Daviault joins the Yves Ménard Avocats team. Persevering and meticulous, she enjoys with a renewed passion the legal challenges that criminal law offers. Recipient of the Dickson Award at the prestigious Gale Cup Moot Court Competition, she will defend you with ease, ardor and persuasion. Me Jordan Trevick practices Criminal Law with care and devotion. He handles cases related to drug trafficking, fraud, theft, assault and impared driving all over the province of Québec. Me Julia Blais-Quintal practices criminal law with professionalism and dedication. She provides a personalized strategy adapted to every client’s needs. It is her strong belief that it is her role as a defence lawyer to ensure that constitutional rights are not infringed upon. Me Naomi Côté Laporte joined the firm to practice her passion, criminal and penal law. It is with rigor and dedication that she handles each of her cases. Primarily practicing penal law, Me Côté Laporte will ensure the management of your case with meticulousness, audacity and determination. Thomas Sirard guides his clients through the legal system with calm and conviction. He is devoted to his clients and he accomplishes his duties with sincerity and an open mind. Although his main field is Prison Law, he also practices Criminal Law in the greater Montreal area. Homelessness, mental health and addiction issues, well known to the justice system, are among her primary concerns. She takes care of each client she meets with respect and empathy, and makes every effort to ensure their right to a full defence. Alex Grey is motivated by a profound belief in the respect of the fundamental rights of his clients. As such, he works diligently to ensure that they receive the strongest defence possible. He is particularly interested in problems related to substance abuse and mental health. Ms. Chevrier joined Yves Ménard's law firm in February 2019 after working for three years as a clerk in the criminal division of Montreal’s courthouse. She is a paralegal and the main assistant to Me Ménard. Ms. Chevrier is crucial to the coordination of our team and the quality of the work they put out. Ms. Chevrier is extremely sensitive to the needs of our clients and shares perfectly the culture of our firm which offers empathetic support to its clients throughout the judicial process. Ariane Maillet has always been fascinated by the world of criminal law. In joining Yves Ménard Avocats as a law student, she is able to bring her passion and enthusiasm in to practice. Through her patience and empathy, Ariane Maillet offers impeccable service to our clientele. A crucial part of the support staff, Mrs Maillet provides invaluable administrative support to the whole office. Student at the Université du Québec à Montréal, set to obtain her law degree in 2022. Currently studying law, Samuel Labonville joined Yves Ménard Avocats to pursue his passion for criminal law. Through his hard work, Samuel Labonville has made himself an indispensible assistant for the whole office. His discretion and sense of responsibility make him highly regarded not only by his colleagues, but by the clientele as well. AT the heart of Vieux-Montréal, THE FIRM IS located RIGHT in front of the Palais de Justice de Montréal. our team can represent you in Quebec and Ontario. If sending a fax, please specify to whom, along with your phone number. Thank you. Thank you for your interest in our firm, you shall receive an answer shortly.